Registration will be open from Jul. 23 to Sep. 18 at 23:59 (JST). The 7000JPY course is open until the 27th Oct at 23:59 (JST). Please see the PERSONAL SPONSORS ENTRY WEB SITE for more details. 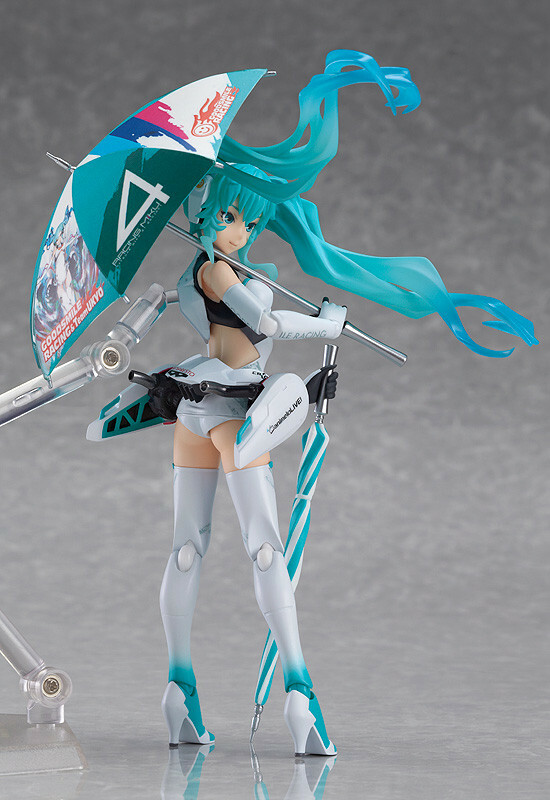 Racing Miku 2014 is here as a figma, ready to race around the circuit! 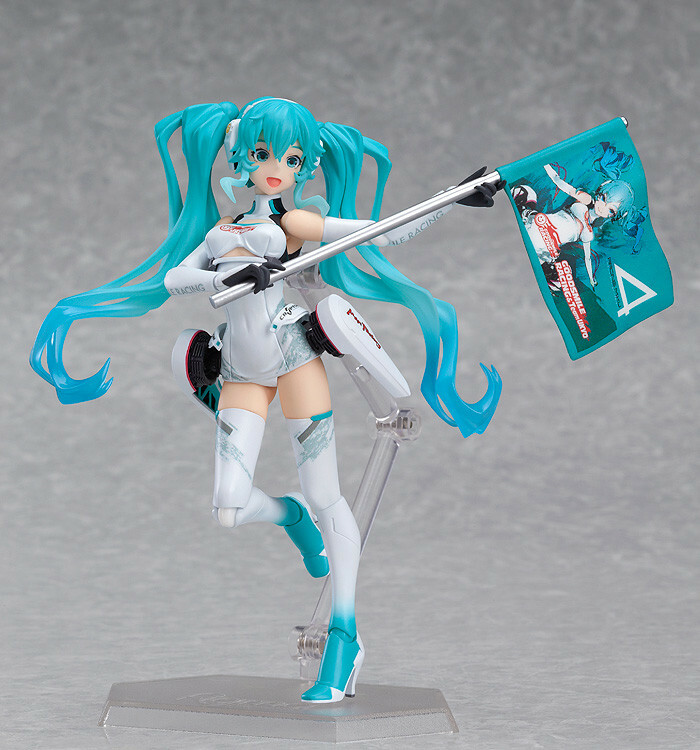 The official character of the Hatsune Miku GT Project: Racing Miku! The 2014 version of her was drawn by the up-and-coming illustrator Oguchi with a costume design by Shigeto Koyama, who has been involved in art direction of a number of popular anime series - and that unique design has been transformed into a figma for sponsors of the team to enjoy! More photos will be added at a later stage. ©おぐち/ Crypton Future Media, INC.